I love Copita. I’ve being going there since it opened and it really feels as if its owner Tom Luther has brought a little corner of Seville to Soho. The menu features a decent range of fifteen sherries, a strong wine selection and delicious and often creative small plates most of which are hits rather than misses. 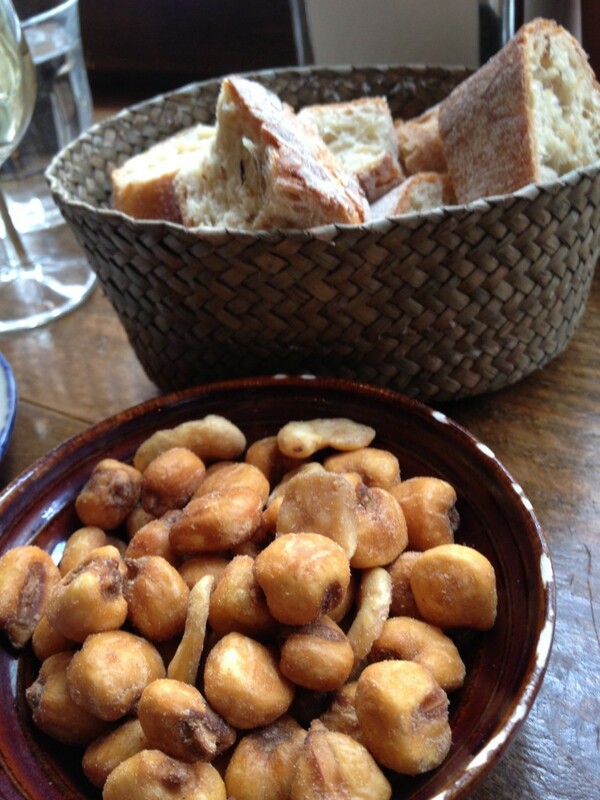 The sherry was perfect with crispy salty bites of Toasted maize and dried crispy broad beans (£2). We also had some excellent bread (£1) with good olive oil. 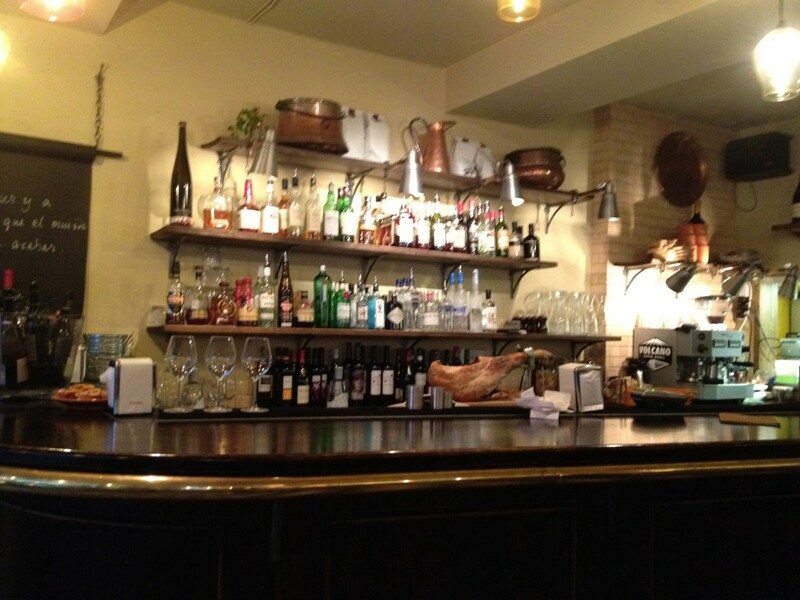 The dishes are small and authentically tapas size. Chicory, orange, fennel and walnut salad (£3.95) is delicious, beautifully dressed with a good crunch. The walnuts have an unexpected cinnamon flavour. 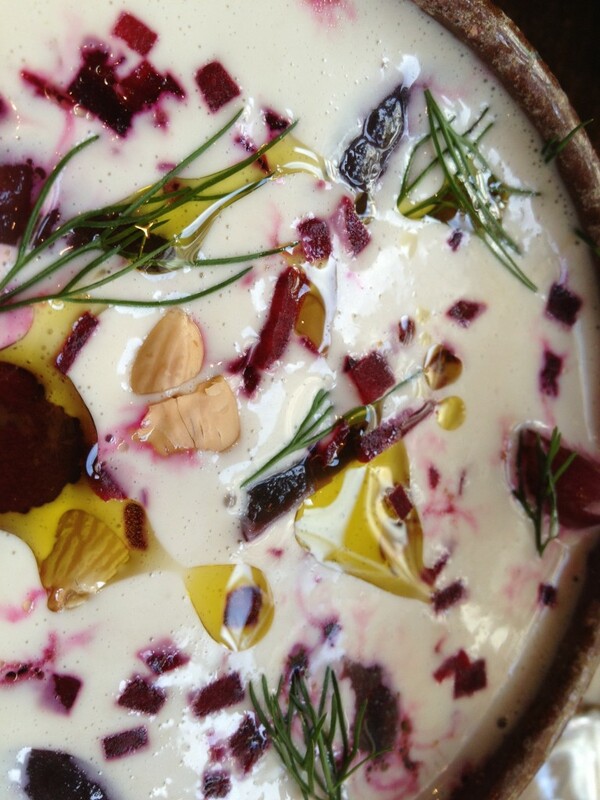 Ajo blanco and beetroot (£3.95) is an outstanding plate of food. It is one of the prettiest dishes I’ve ever seen and the earthy richness of the garlic and almond cream is offset by the sweetness of the beetroot and grapes. 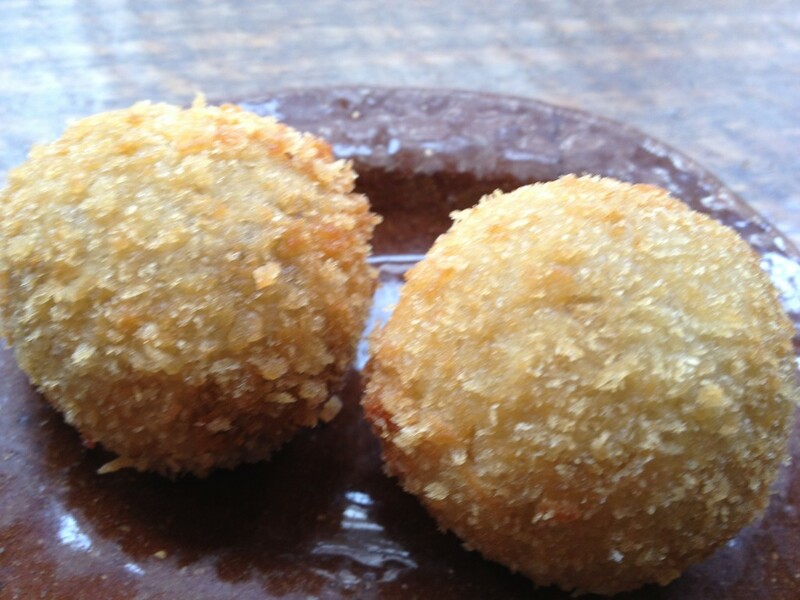 The Mushroom croquettes (£1.05 each) are breadcrumbed with the mushrooms in a bechamel sauce-these are a little bland. 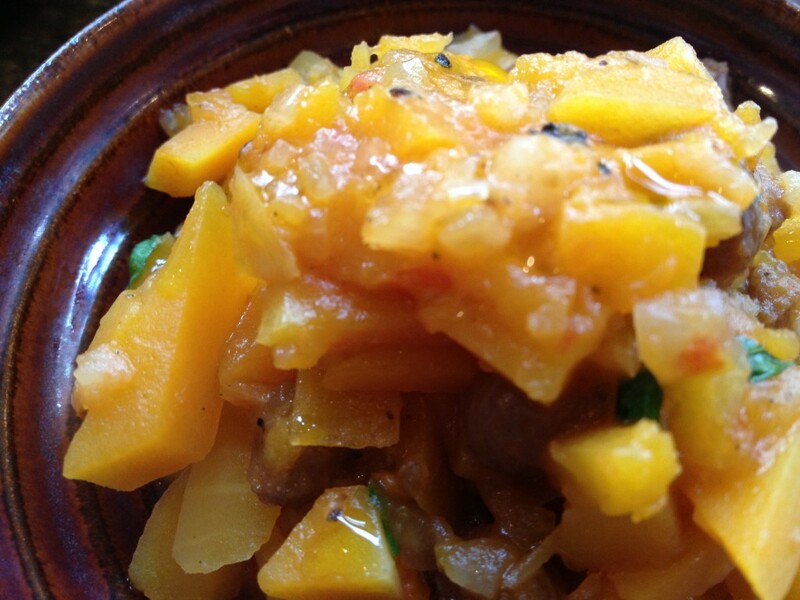 Butternut squash, raisins and pine nuts (£4.25). The squash is cubed and not overcooked so it still has some bite in it. The raisins and pine nuts add sweetness and crunch. Another tasty little plate. 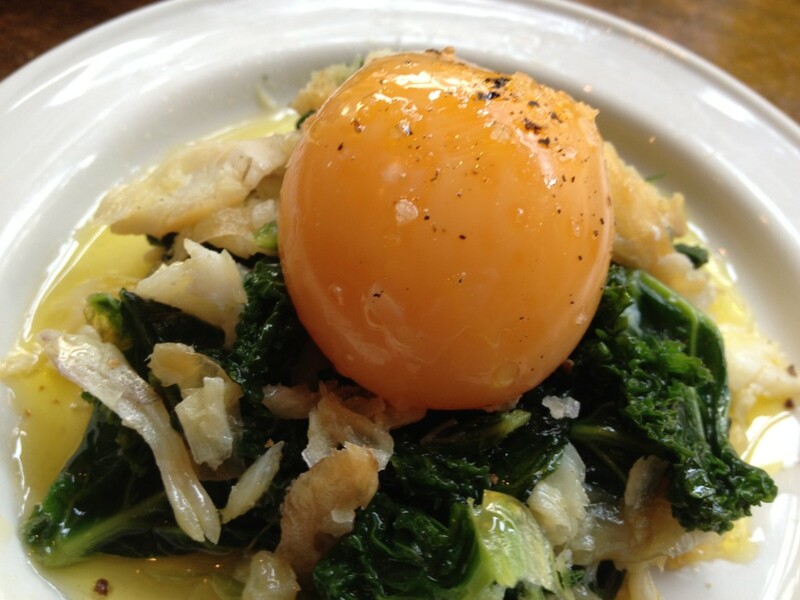 Smoked haddock, curly kale and egg yolk (£5.95). Smoked fish and egg is a classic combo and the addition of the kale gave it some chlorophyllic crunch. 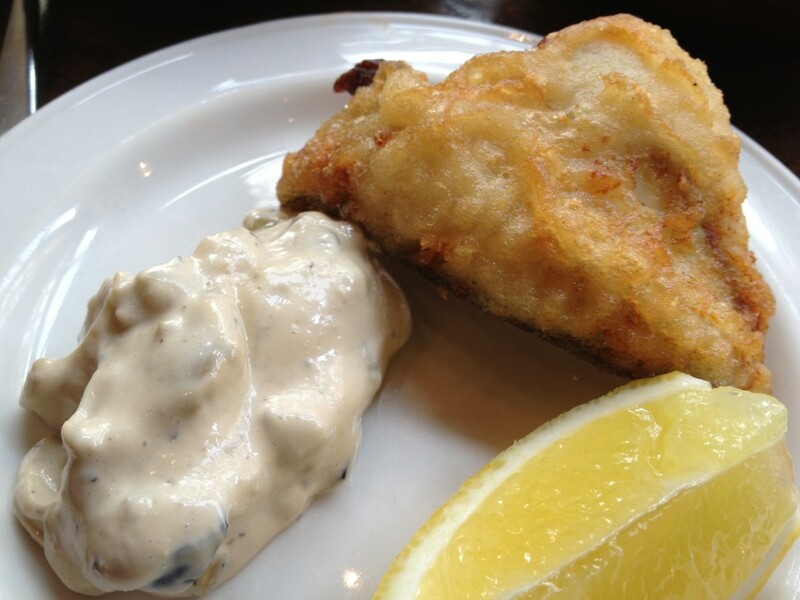 Turbot tempura with olive mayonnaise (£5.95) the fish was perfectly framed by the light tempura batter and the olive mayonnaise was was a revelation, cutting through the richness of the fish. 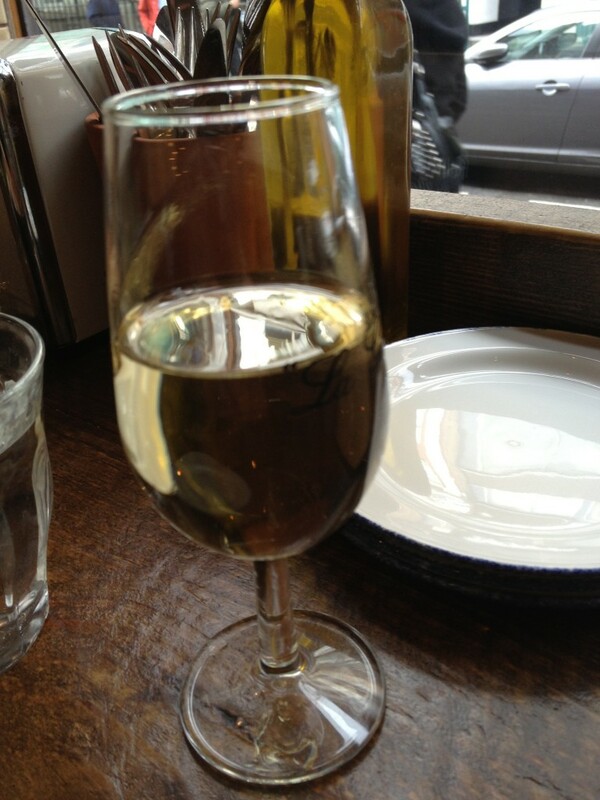 Copita gets really busy in the evenings as Soho types (that might just include The Hedonist…) pack the place out. At lunch or in the afternoon in runs at a more leisurely pace, but quality is always consistent and the welcome always warm.